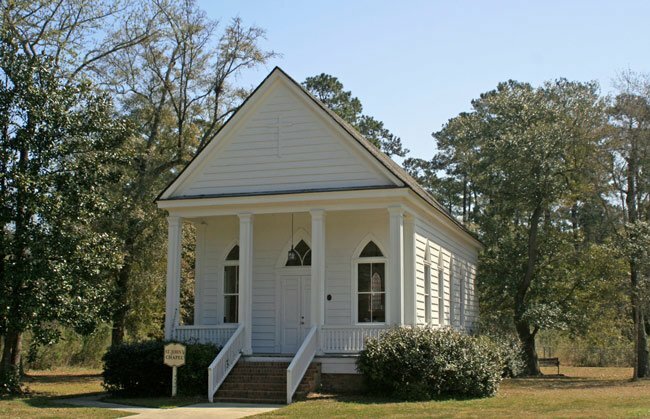 This tiny chapel on the property of All Saint’s Church in Pawleys Island is also called Cedar Grove Chapel because it was originally built for Cedar Grove Plantation in 1850. Dr. Andrew Hassell, owner of Cedar Grove, had the chapel built for his slaves. Towards the end of the nineteenth century the chapel fell into the hands of brothers St. Julien and Francis Lachicotte, who owned the property known as Waverly Plantation. It was later called Waverly Mills as P.R. Lachicotte added a rice mill, lumber mill, dairy, and other enterprises to the property. The Lachicottes donated the chapel and an acre of land to All Saints Church, and in 1898 the chapel was moved to the donated lot at the corner of Waverly Road and United States Highway 17. It served as the summer chapel for All Saints Church. 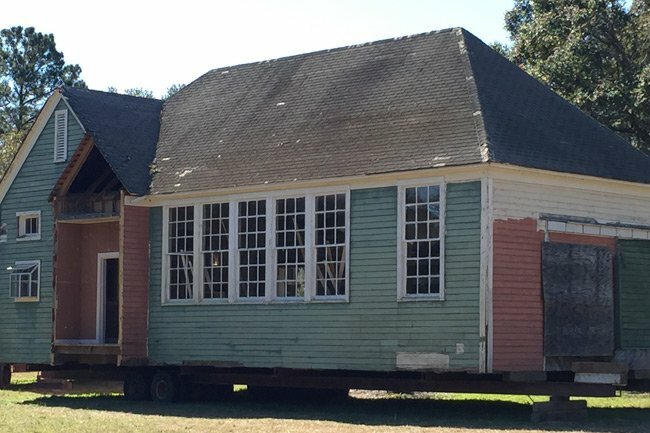 The original Waverly School that sat on Waverly Plantation was eventually moved to the property of the Pawleys Island Hammock Shops, also owned by Lachicottes, and a new school was built in 1932 that connected to the chapel. When the new Waverly School building was added to the chapel, the little church became a library and a community center. The school operated until 1947, and the church and school were then used as a fellowship hall for All Saints. At one point a store and restaurant – called the Community House – were operated from the adjoining school building. In 1960 the chapel was renamed St. John the Evangelist and once again used as a summer chapel. In 1976 All Saints Church sold the lot and moved the chapel and school to the rectory at All Saints Church. In 1985 the buildings moved once again, this time behind the church’s modern office buildings, to be used as the church youth center. Interestingly, on January 16, 2015, the Waverly School was relocated from the All Saints campus to the Live Oak campus of Christ the King Church, as seen above. Christ the King Church is an Episcopal church that formed after All Saints Church left The Episcopal Church in 2004 and became affiliated with the Anglican Church in North America. 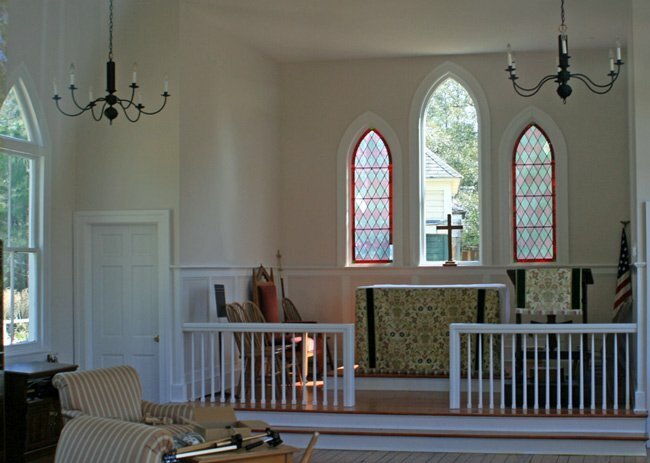 (Summer Chapel, All Saints Episcopal Church, Waccamaw) The Cedar Grove Plantation Chapel (built ca. 1850), now at All Saints’ Episcopal Church, Waccamaw, was subsequently the Summer Chapel, All Saints’ Episcopal Church, and still later the Chapel of St. John the Evangelist, All Saints’ Episcopal Church. It is significant as an intact example of mid-nineteenth century vernacular church architecture. The small frame Gothic Revival style chapel with front gable roof has an engaged, denticulated, pedimented portico supported by four, paneled, square columns with a slat balustrade. The building stands on a modern brick foundation. The rear façade also has a denticulated pedimented bale and has three pointed arched windows. The simple sanctuary has a raised pulpit area flanked by a small vesting room and a sacristy. 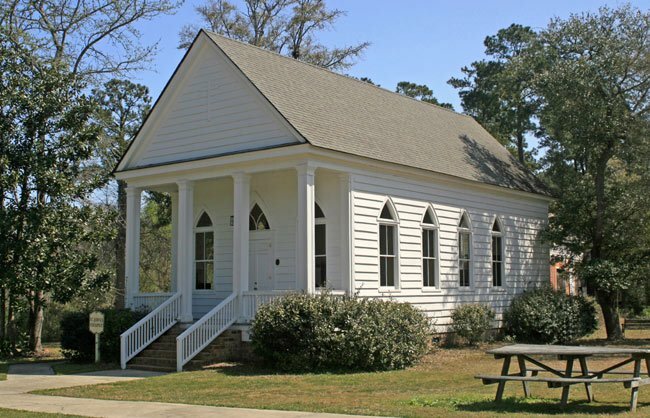 The chapel is also significant for its association with the institution of slavery on antebellum rice plantations in Georgetown County and for its association with All Saints’ Episcopal Church.